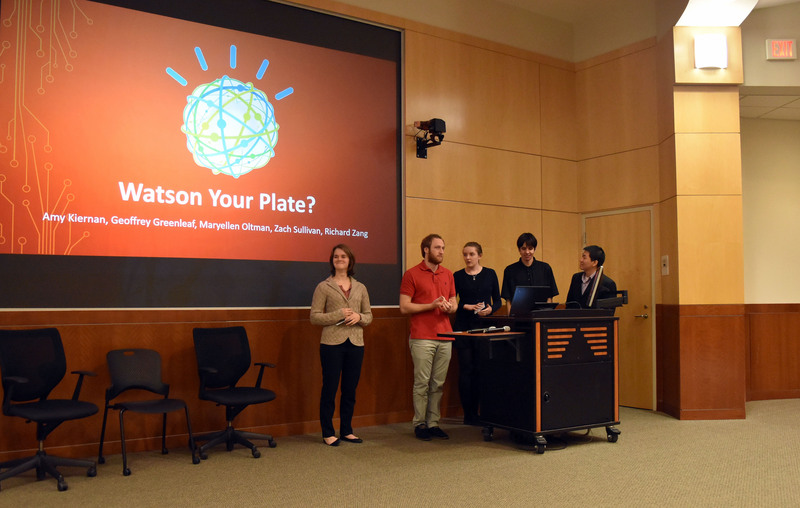 During the Fall 2015 semester, the IBM Academic Initiative and the Watson Academic Engagement collaborated with the UT Dallas Computer Science department to offer students the opportunity to enroll in the Fall 2015 Cognitive Course Leveraging Watson. The goal of the course is to empower university students with the technical knowledge to build apps infused with Watson’s intelligence, while gaining the entrepreneurial vision to deliver their Innovations into the marketplace. 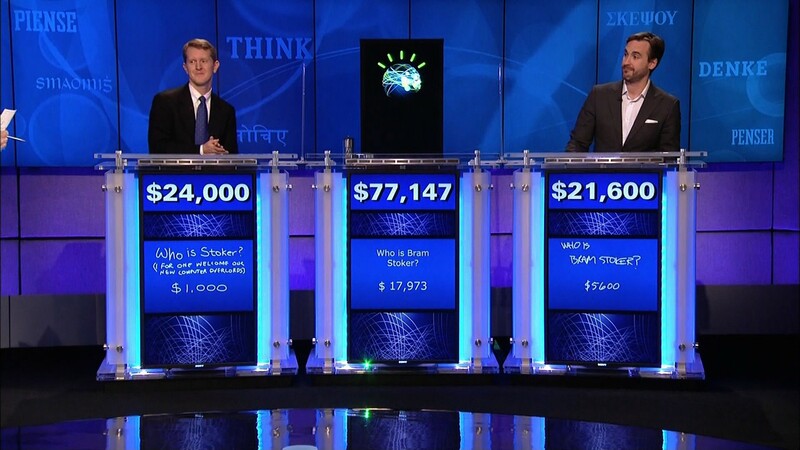 During the course, students were given access via the Watson Developer Cloud, to IBM Watson – a large-scale Question Answering system that famously won at Jeopardy! against two human grand champions. At the beginning of the fall semester, twenty-five students were asked to choose an industry on which to focus, such as science, politics, news, literature, or sports, for their project. 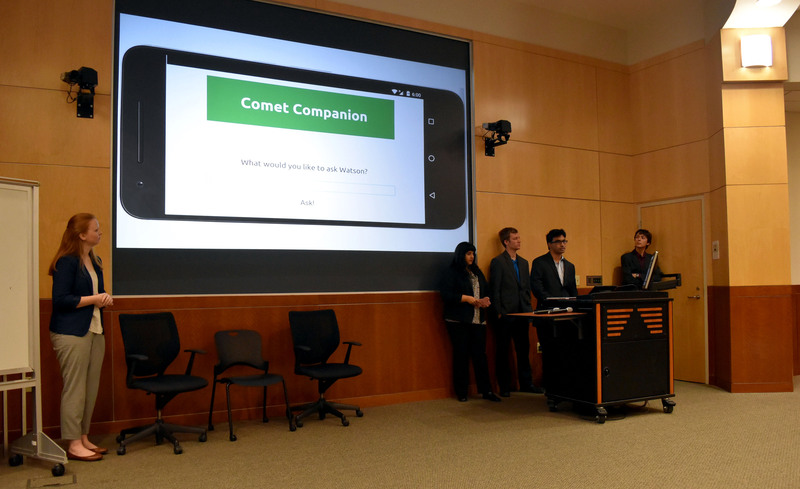 Once an industry was chosen, students then broke into five teams where they would develop prototype apps and a business plan. 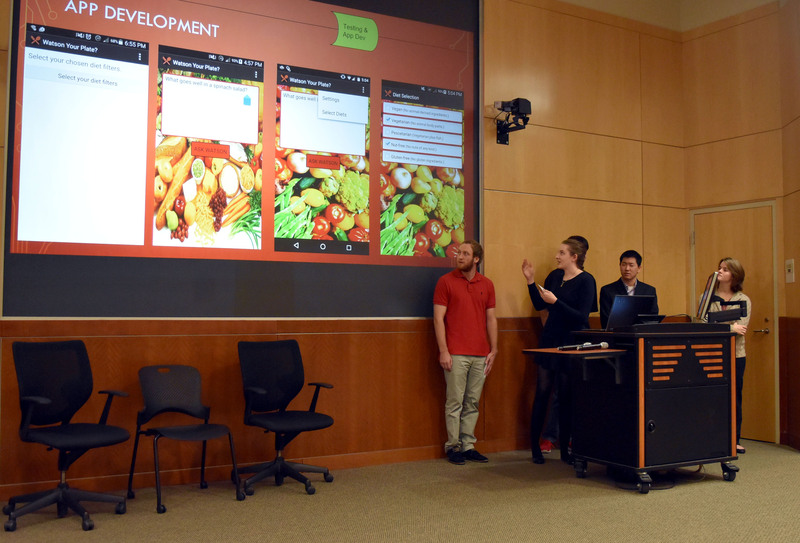 Subsequently, each team submitted a proposal document to Dr. Chris Davis, a UT Dallas CS professor and the course instructor, and selected what user interface they would be using, such as mobile or web-based. 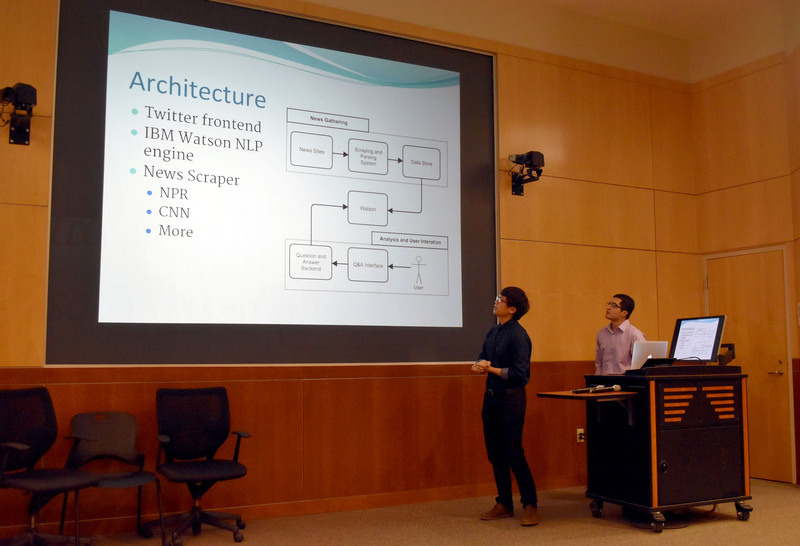 Dr. Davis provided the students with feedback on their proposals to ensure that the scope of the projects were both not too broad for one semester and to avoid attempting projects that were outside of the NLP/Question Answering framework that defines Watson’s capabilities. 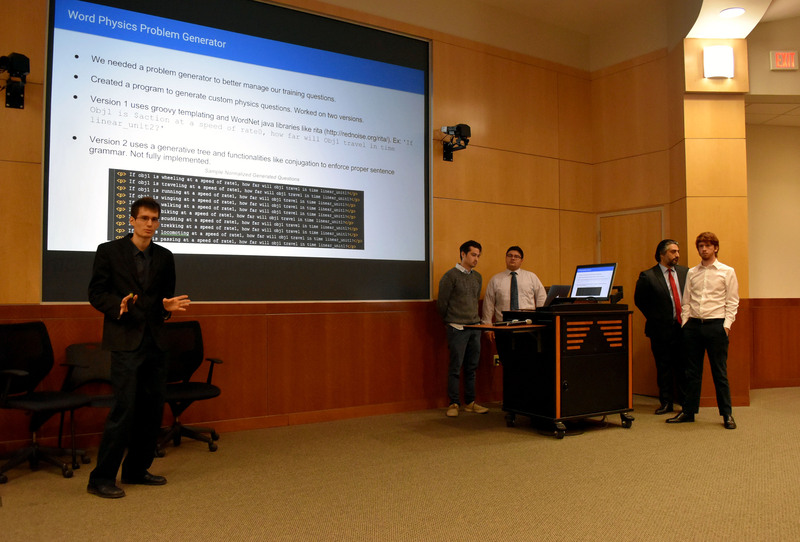 Dr. Davis notes that, “all the students projects were designed as software applications, which interact with their own private instance of Watson in the background, working as its knowledge base. 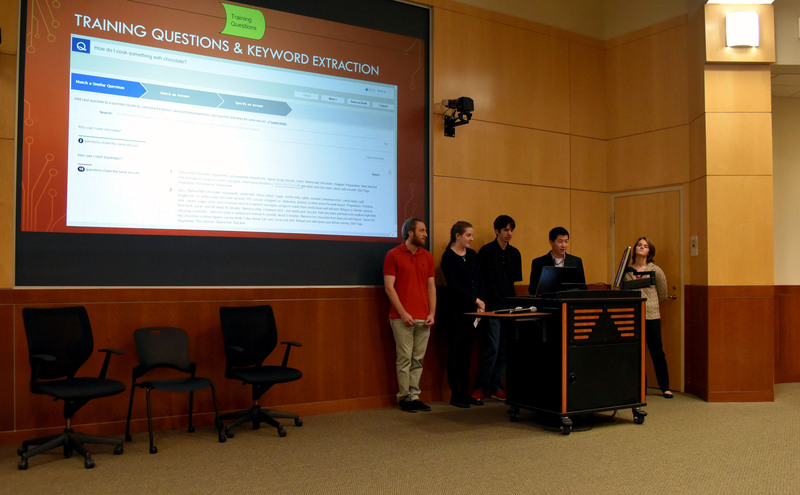 Each team was responsible for training their own instance, including collecting the training data (data mining) from the web and formatting it in a way that Watson could read.” Subsequently, during the duration of the course, students worked together as a team to feed relevant data into Watson and train it. Choose Your Own Adventure – Use Watson to generate a random “choose your own adventure” story. 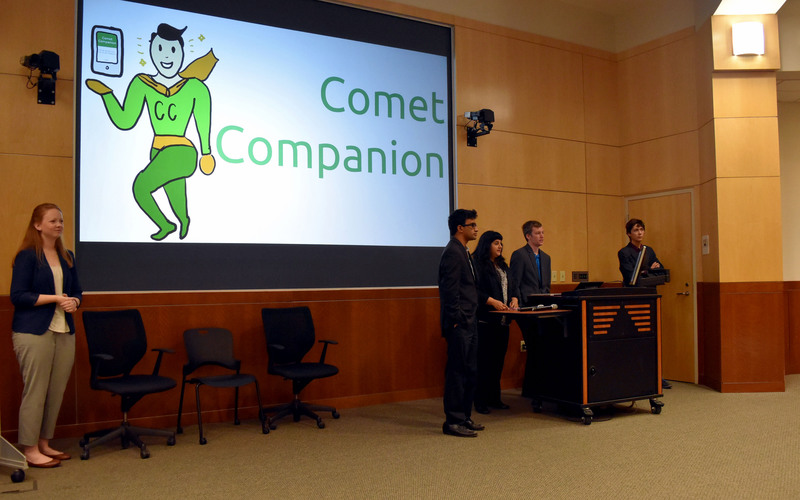 IBM Watson has asked members of the Comet Companion project and the Ask Jen2y project to continue working on their projects with Watson. 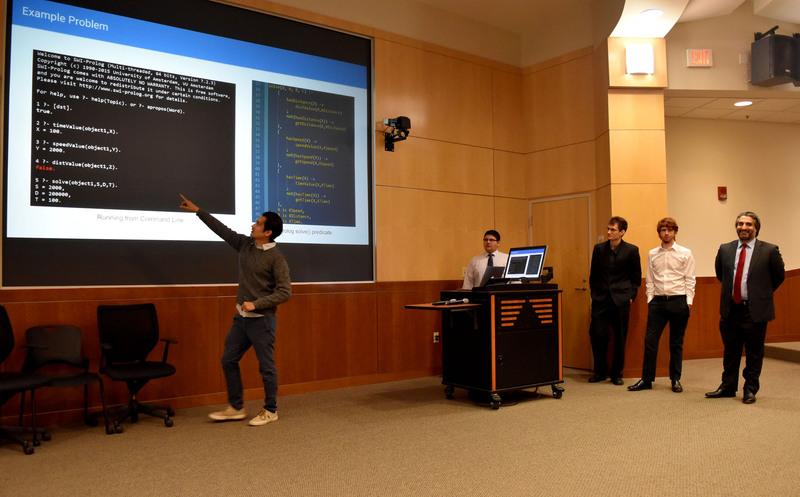 IBM worked closely with UT Dallas CS students in the course by providing support on course development, technical mentors, and guest lectures from IBM guest speakers, as well as access to IBM Watson through the Watson Developer Cloud. The students kept in contact with IBM technical mentors through weekly support conference calls and direct email support. The course itself provided the students with the experience of developing an NLP-Heavy component with specifications that were mandated by Watson, which requires both research and engineering skills. Offering this course to universities is part of IBM’s strategy to engage students in the emergence of cognitive innovation, empowering students to explore careers in cognitive technology including Artificial Intelligence, Machine Learning, and NLP, and in doing so making Cognitive the new standard of computing. 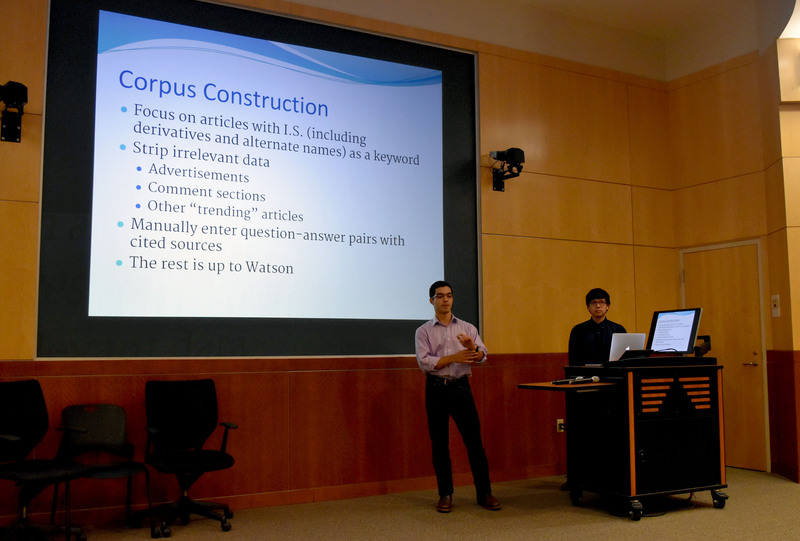 Offering a course around Watson attracted the attention of the UT Dallas CS Department, wanting its students to become proficient in Natural Language Processing (NLP) technology, and IBM’s Watson is an excellent vehicle to achieve that goal. Natural Language Processing, Machine Learning, and Intelligent Systems are a major focus of the CS department, which houses the world-renowned Human Language Technology and Research Institute. 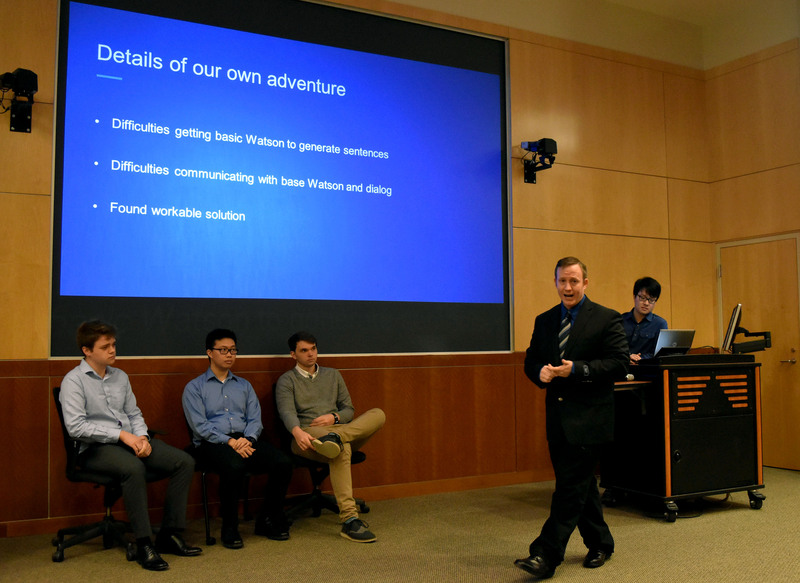 As a result of their course experience, the students in the course developed knowledge and skills through a series of hands-on activities, including data discovery and corpus, creating cognitive apps in the cloud, learning how to develop the skills to upload and ingest data into Watson’s corp us, user interface and user experience configuration, and developing entrepreneurial skills. 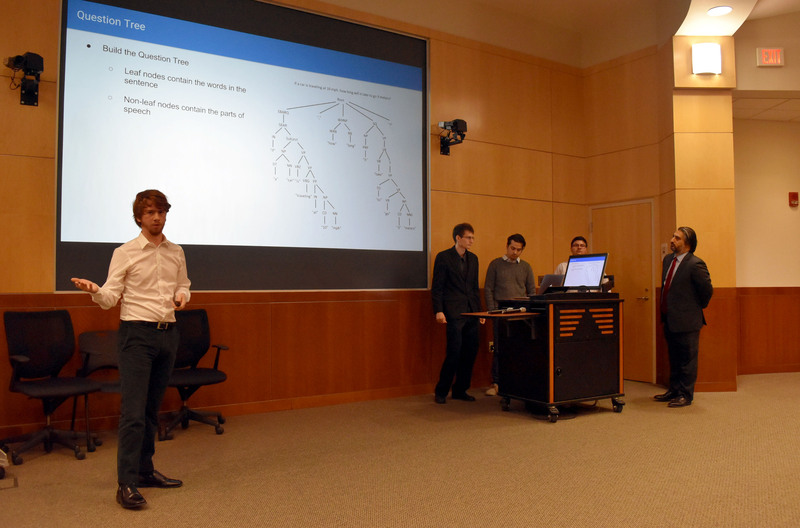 IBM provided students authorized use of the Watson Ecosystem Services and IBM Development Materials to upload and process their work for evaluation and development, testing, and demonstration of their application. 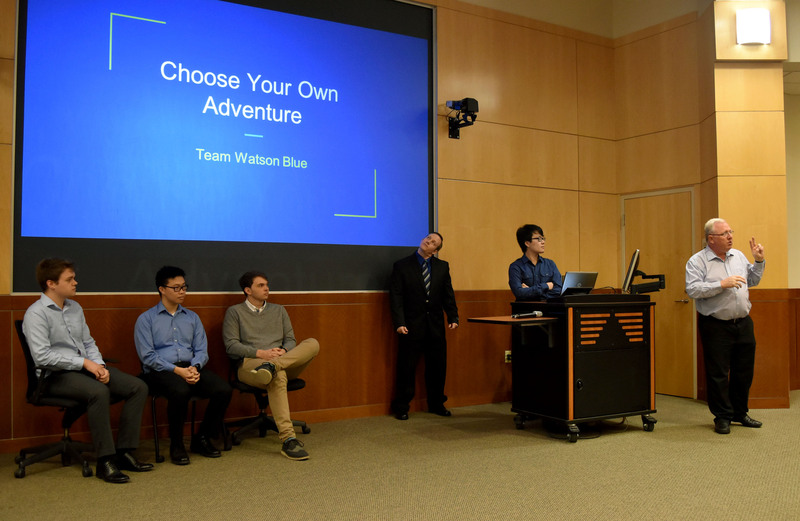 Using the Watson Developer Cloud, a cloud-hosted marketplace that includes access to application programming interface (API), software developer kits, tooling and approaches focused on facilitating the use and adoption of cognitive capabilities, the students developed their ideas and completed their projects. The course would not have been possible if it were not for the hard work of the IBM Academic Initiative and the Watson Academic Engagement teams, including Dennis Bly (IBM Academic Initiative), Pamela Induni (Program Director of Watson Academic Engagement), Armen Pischdotchian (Technical Enablement at Watson Academic Engagement), and Lisa Barnes (Program Manager at IBM Security Learning Services).  UT Dallas is among a list of prominent universities chosen to provide this course to students. Other Universities offering the course include Carnegie Mellon, New York University, Columbia, Northwestern, Ohio State, Rensselaer (RPI), Stanford, UC Berkley, UT Austin, University of Michigan, and the University of Toronto. Dr. Chris Davis and the “Choose Your Own Adventure” team. 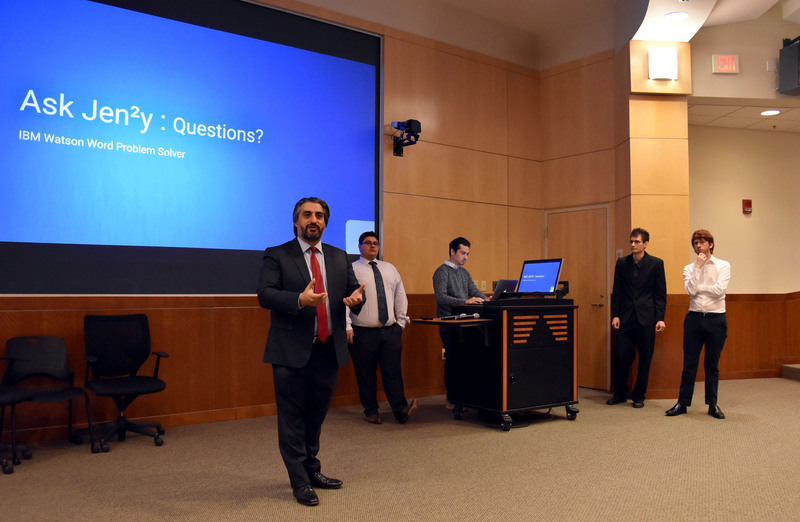 Please click here to view additional photos from the IBM Watson Course final presentations & click here to see photos from past UT Dallas CS related events.